With Valentine’s Day just around the corner, what could be better than booking into a beautiful PINK hotel to celebrate? From blush palaces to coral casitas, we are looking at the world through rose-coloured glasses. Discover our picks for the prettiest pink hotels around the world. 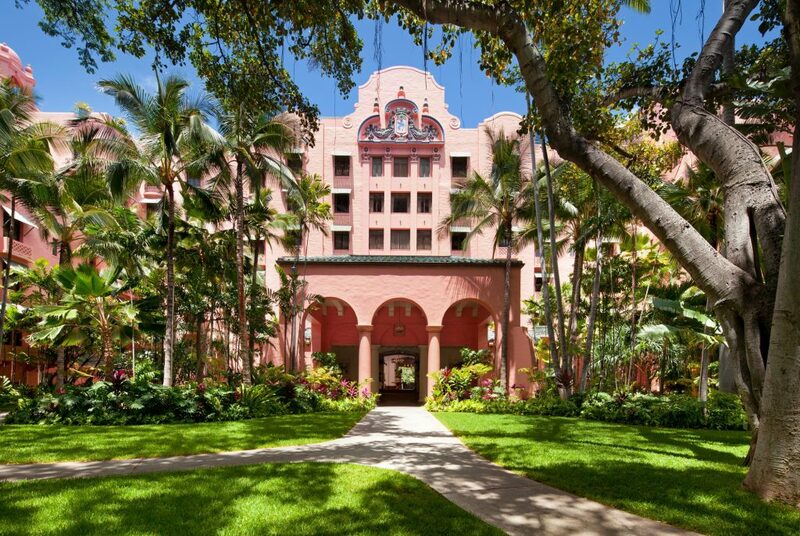 As if Hawaii couldn’t get any more spectacular, The Royal Hawaiian, a Luxury Collection Resort adds an extra element of beauty with its gorgeous pink Spanish-Moorish façade. Known as “The Pink Palace of the Pacific” it first opened in 1927 and is steeped in timeless glamour with a dash of Hawaiian culture. Located on the Waikiki beachfront, surrounded by coconut groves, sparkling waters and billowing cabanas, it’s no wonder that it’s one of the islands most sought after hotels. El Fenn is a riot of colour. This unique boutique hotel in the Marrakech medina combines the indulgence of a hip hotel with the heritage of seven traditional courtyard houses. It is also home to one of the finest contemporary art collections in Morocco. 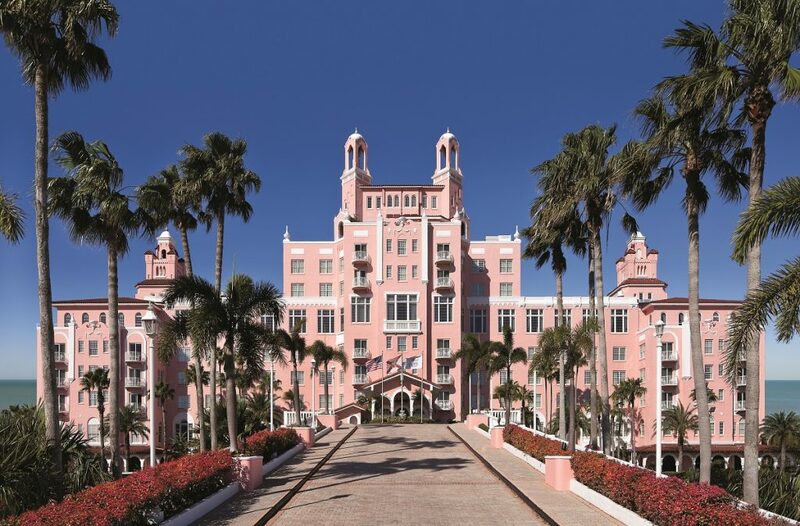 The Don CeSar, locally known as the Pink Palace, is a beautiful, historic hotel that sits on the white shores of St. Pete Beach. Set in a serene location, The Don CeSar has spectacular panoramic views of the Gulf of Mexico and Boca Ciega Bay. It’s one of the most distinctive landmarks on the Gulf Coast of Mexico. Romantic to the core and steeped in a history, it has been host to world-class guests, including Franklin Roosevelt, Al Capone and F. Scott Fitzgerald and you could be next! Belmond Hotel Das Cataratas is a pastel-pink hideaway located beside Iguassu Falls. Surrounded by lush rainforest, It’s the only hotel located inside the Brazilian national park allowing 24 hour access to the falls – but they can offer much more than just a spectacular location. The hotel showcases understated luxury at its finest. Sip caipirinhas as you float in the pool and be serenated by the jungle chorus. What could be more perfect? Why not combine a stay at Belmond Hotel Das Cataratas with a trip to Rio de Janeiro and the Amazon? Bespoke Brazil offers the Crown Jewels itinerary and can offer a luxury tailor-made tour. 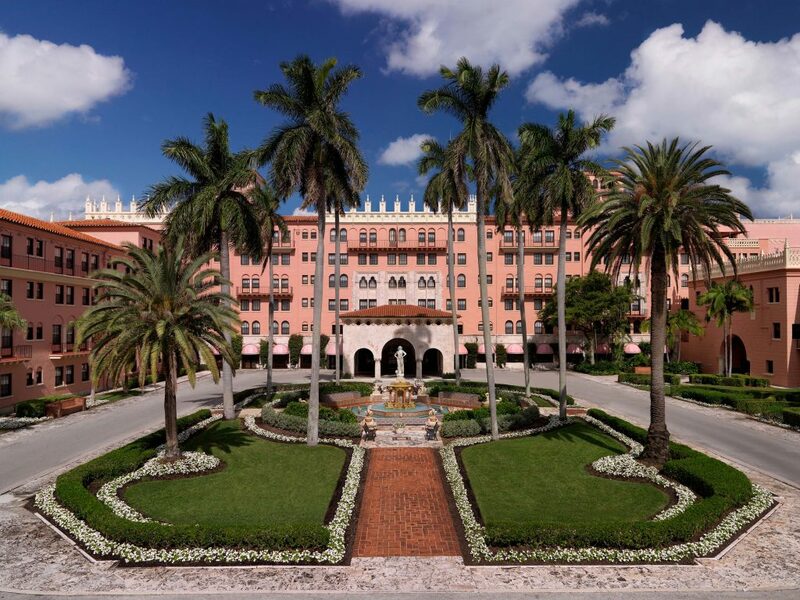 The impeccable Boca Raton Resort and Club is as a true testament to luxury and ultimate relaxation. Recently redesigned, the rose-hued resort offers couples an unforgettable romantic break. The spa however, has to be the highlight of Boca Raton Resort. Inspired by Spain’s legendary Alhambra Palace, the spa is a symphony of palatial gardens, grand arches and carved stone, intertwined with an elaborate display of mosaics and cypress woodwork. 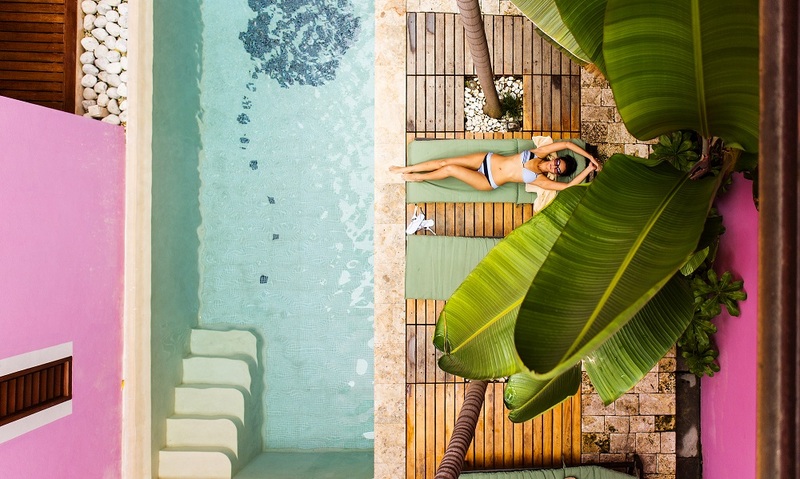 Its highly celebrated ritual bath offers couples a multi-step water journey, providing a choice of steam, inhalation, sauna and Swiss shower experiences, leaving couples rejuvenated and truly replenished. Cobblers Cove Hotel occupies a former plantation house on the west coast of Barbados, combining the charm of an English country house with a tropical setting overlooking a palm-fringed beach. A member of the prestigious Relais and Chateaux hotel group, the hotel is centred around the pastel-pink Great House and promises superb cuisine alongside excellent service. 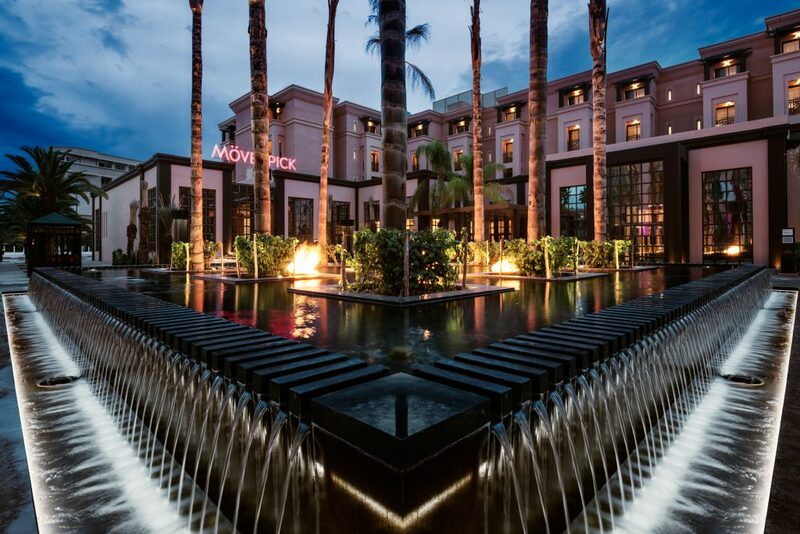 Located in the heart of Marrakech, rather aptly referred to as the ‘rose city’, the Mövenpick Hotel Mansour Eddahbi Marrakech is an oasis of serenity from the enchanting buzz of the Medina. The hotel unveiled last year its new Saadian-inspired Spa, Ô de Rose, which takes its name from the traditional rosewater that perfumed the Saadian nobility for generations. Spread across two floors, this haven of wellness features a serene relaxation patio centred around a rose-petal strewn fountain, where guests can linger over tea or mineral water infusions. The Sujan Raj Mahal Palace is an incredible boutique 18th century luxury heritage hotel located in Jaipur India. With only 15 rooms, Raj Mahal seamlessly blends old-world charm and opulence with a contemporary kaleidoscope of colour, regal charm and personalised service perfect for any romantic break. From the smaller Palace Room to the Royal Suites, all rooms are completely different with their own luxurious quirks. The masterful culinary experience is not to be missed at Sujan Raj Mahal. 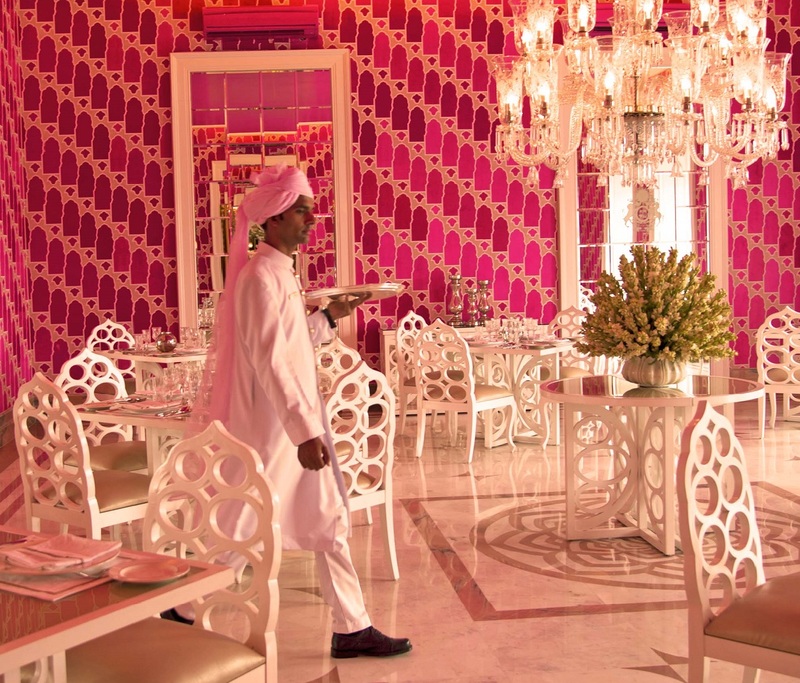 Begin your day in the ‘51 Shades of Pink’ room for the tastiest of breakfasts. Guests have included Jackie Kennedy and Her Majesty the Queen and if it’s good enough for them then it is most definitely good enough for us! 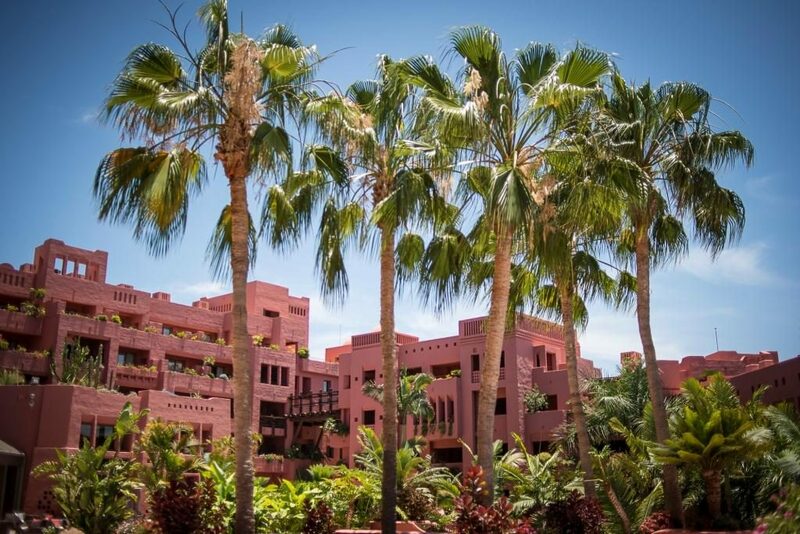 Luxuriate within the coral-washed walls of The Ritz-Carlton, Abama and immerse yourself in the tranquil enclave of Guia de Isora. Overlooking the sparkling Atlantic, The Moorish-inspired hotel features one of the finest golf courses in Spain as well as a world-class spa. If food is more up your alley then perhaps the hotel’s two Michelin-star restaurants will help tantalise your taste buds. Sometimes we are lucky enough to stumble across a gem that we never even knew existed. That is exactly what happened with Rosas & Xocolate. This trendy conceptual hotel is located in the south-eastern part of Mexico and has deep roots linking it to the Mayan civilization. 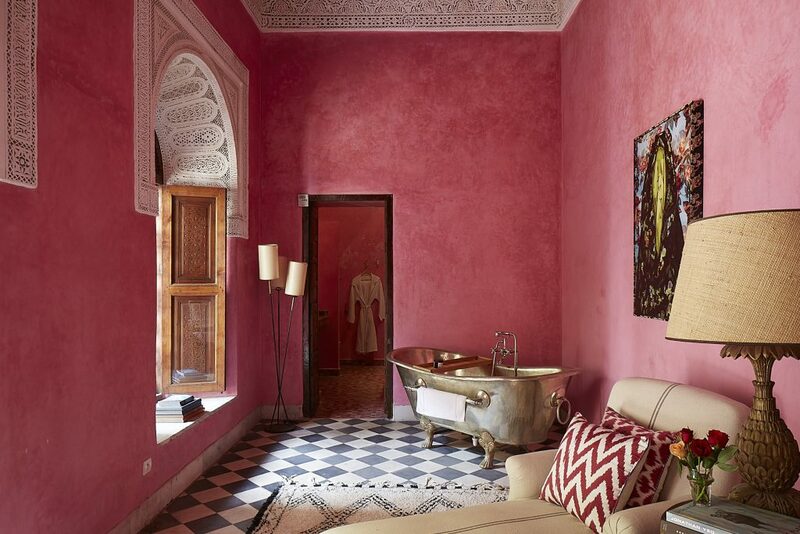 Boutique in size, the bright pink hotel is romantic, vibrant and an instagrammers dream. 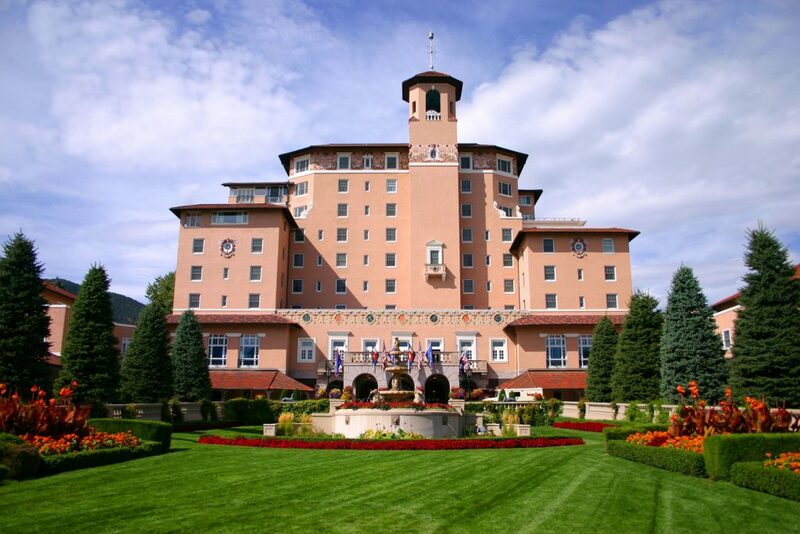 The longest running consecutive five-star, five-diamond property in the U.S., The Broadmoor was built in 1918 and is only one of three five-star hotels in the state of Colorado. The blush-pink Broadmoor, known as the “Grand Dame of the Rockies”, is set on 3,000 acres of land so outdoor activities are a must. Hike along scenic trails, horseback ride though verdant valleys or take a canoe out on Cheyenne Lake – the options are almost endless. 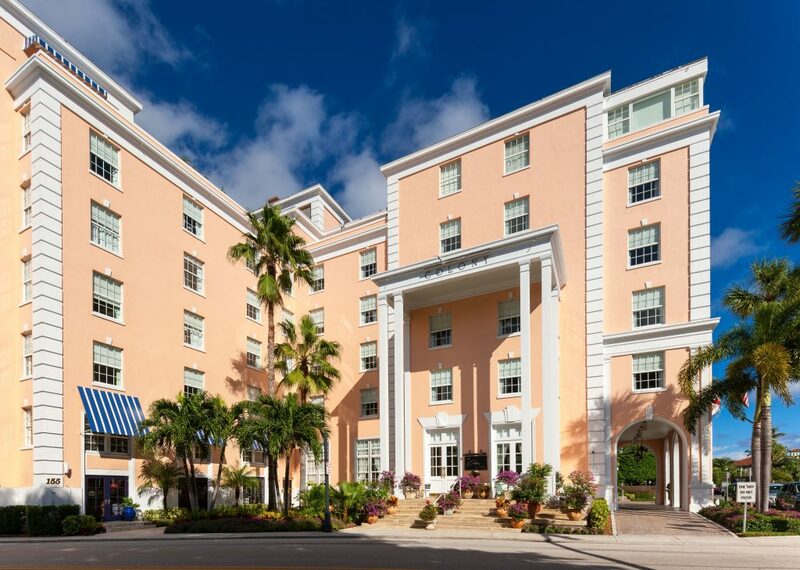 Since 1947, The Colony has been a beloved Palm Beach landmark, hosting U.S. presidents, European royalty, and the likes of John Lennon and Judy Garland (to name a few). 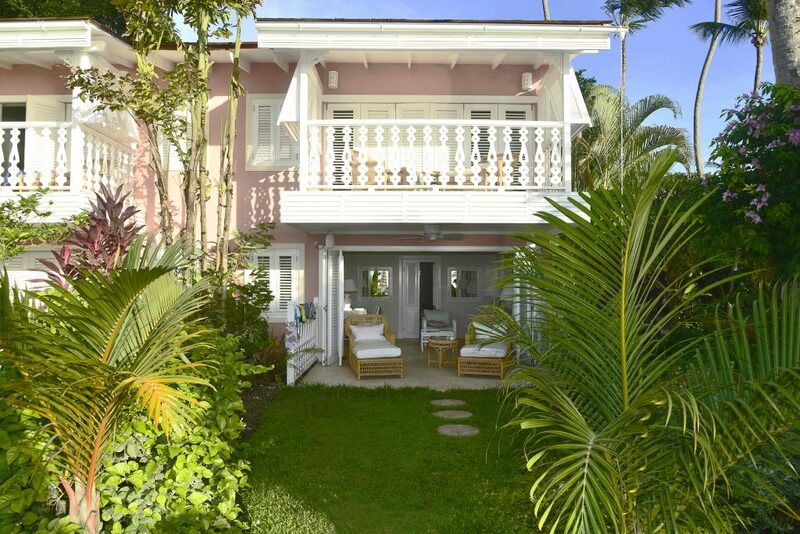 Situated conveniently between the beach and Worth Avenue, the iconic pink property has recently come under new ownership and is introducing new programming including bespoke bikes, yoga by the pool and much more. With its British Colonial architecture, The Colony, like its Millennial Pink façade, mixes old-world charm with ultra-modern style. Can’t find a suitable hotel? How about the Avalon Hotel & Bungalows in Palm Springs? Click to read more.